New York City Mayor Michael Bloomberg was honored Monday with Israel's inaugural Genesis Award, otherwise known as the "Jewish Nobel Prize." The award comes with prize winnings of $1 million, which Bloomberg — who's estimated to be worth $31 billion — is expected to donate to a TBD charity. The Genesis Prize Foundation said they chose Bloomberg for his legacy of public service and philanthropy. "I want to use it to do something that will foster relationships in a very difficult part of the world," Bloomberg said, adding that he'd "bounced around some ideas" about what to do with the money with Israeli Prime Minister Benjamin Netanyahu called Bloomberg to congratulate him. 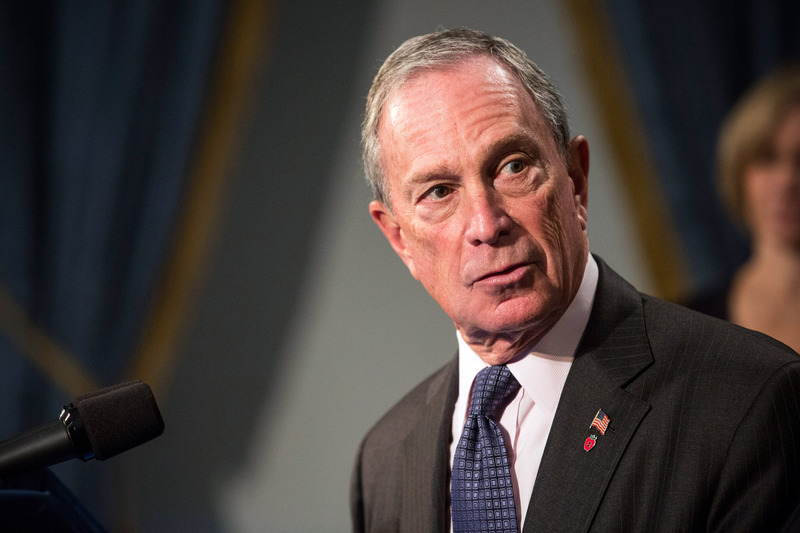 "Many years ago, my parents instilled in me Jewish values and ethics that I have carried with me throughout my life, and which have guided every aspect of my work in business, government, and philanthropy," Bloomberg said in a statement. "The Genesis Prize embraces and promotes those same values and ethics — a common thread among the Jewish people worldwide that has helped move humankind forward for centuries." Bloomberg, who is just ending his third and final term as mayor, has a mixed public approval rating back home. Sixty-five percent of New Yorkers say they wouldn't vote for him for a fourth term, and only 48 percent say they approve of the job he was doing. One long-held gripe is that his policies favor the rich over lower income brackets: in a "stinging" August poll, the majority of city-dwellers said that both quality of life and NYC's education system under his reign had stayed the same or gotten worse. Recently, Bloomberg's come under fire for his controversial "stop and frisk" policies, which critics (and now judges) say unfairly targets minorities. (Bloomberg retaliated against those naysayers by using his historically large gun-bust victory to play up the policies, even though they contributed literally nothing to the bust's success.) He's also been criticized for the NYPD's "intense surveillance" of the city's Islamic community. Oh, and then there's that $19.5-billion campaign to built an apocalypse-resistant New York City, which sort of comes off like people in the city planning department watched the Day After Tomorrow with some sketchpads and Monopoly money while on a bad drug trip. We do however like the his new PSA self-esteem ads targeting young girls, which feature posters tagged with the line "I'm a girl. I'm beautiful the way I am." Netanyahu will officially present Bloomberg with the Genesis Prize next January in Israel, at which time he'll announce the beneficiary of the prize money. "It is a great honor for the entire Jewish people to celebrate his achievements, his commitment to improving the world, and in particular his city: New York," Nobel Prize laureate and author Elie Wiesel said. "We are certain that his selection as the recipient of the Genesis Prize will serve as an inspiration to young Jews and others across the globe."